A few weeks ago I saw a post for the Hungry Bear ABC game and created one to use at the library. 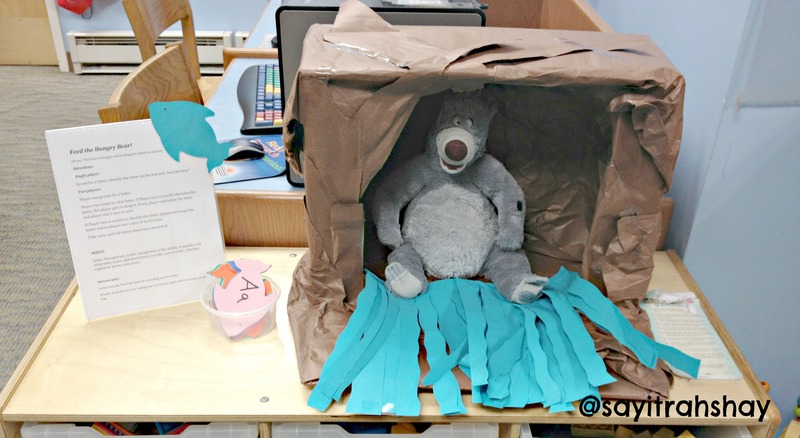 Our theme for the summer is “Dig Into Reading” and I thought the idea of a bear in a cave looking for food was really cute. To cover the box we used crumpled pieces of brown paper to create a textured look. We taped the paper to the insides and outsides of the box. 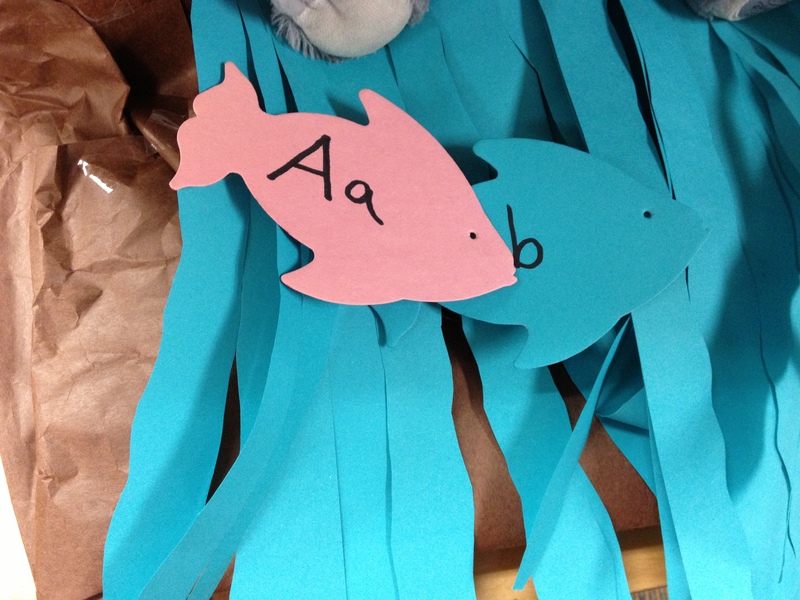 Using construction paper we created a lake in which the bear would fish for his food. 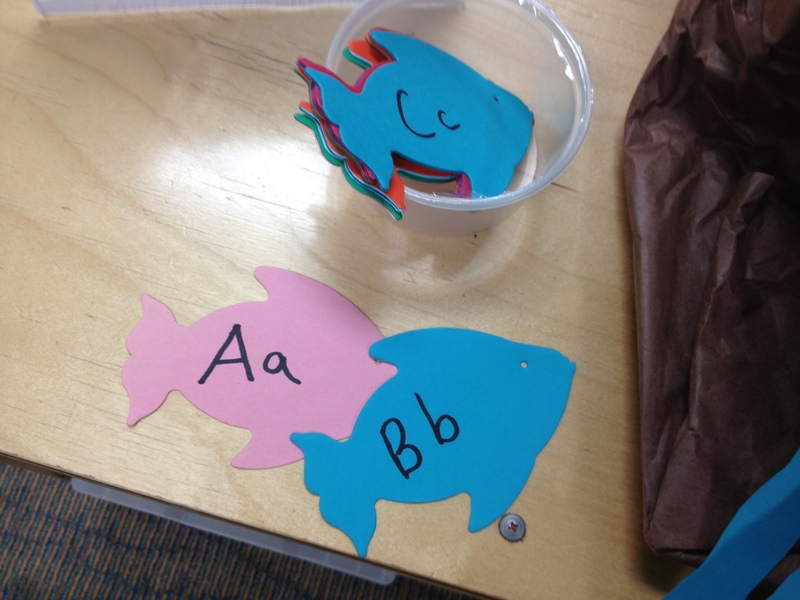 We also used construction paper to make fish. Last we found a stuffed animal friend to complete the look. Below are the directions created for one or more players. This is a passive activity in the library for people to explore whenever the visit. So, do you have a Thrilling Thursday craft? Link up with The Blogger Connection Crafters! This is adorable and I’ll so be doing this with prince!! He’ll love it. The kids had a ball at my library. What a great way to make it fun!! Pinned & Tweeted! Thanks. I keep trying to look for new ideas and share them. How cute! I think my little bit would enjoy feeding the hungry bear! Love the games you come up with! Great Idea. I love making reading fun! Pinned & Tweeted!